Sterling Berry, Cindy Chereskin, Cassie Lawton, Margaret Benjamin, Carl Weeden, Lauren Gorter and Stephanie Harris attended the Giving Tuesday Luncheon. Antioch, IL – December 6, 2014 – Members of Chicago Equestrians for a Cause (CEC) met on Giving Tuesday to present gifts to their three charities totaling $150,000. 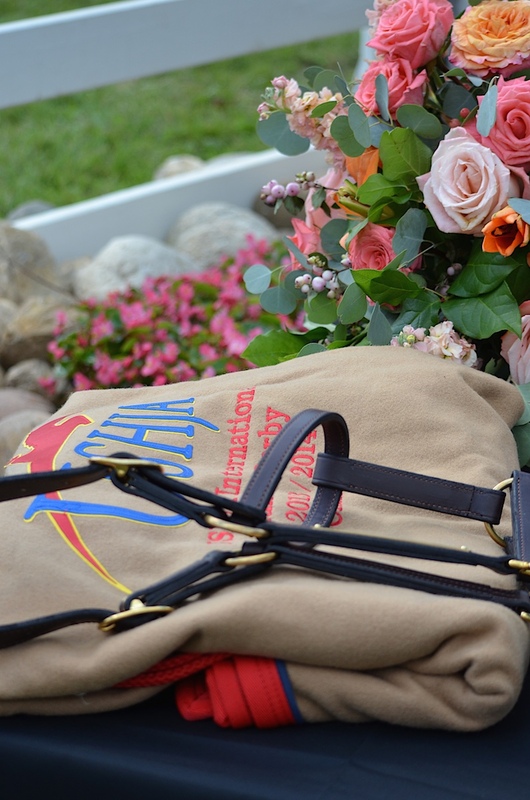 The funds were raised through the Chicago Hunter Derby presented by Canadian Pacific, which took place in September. 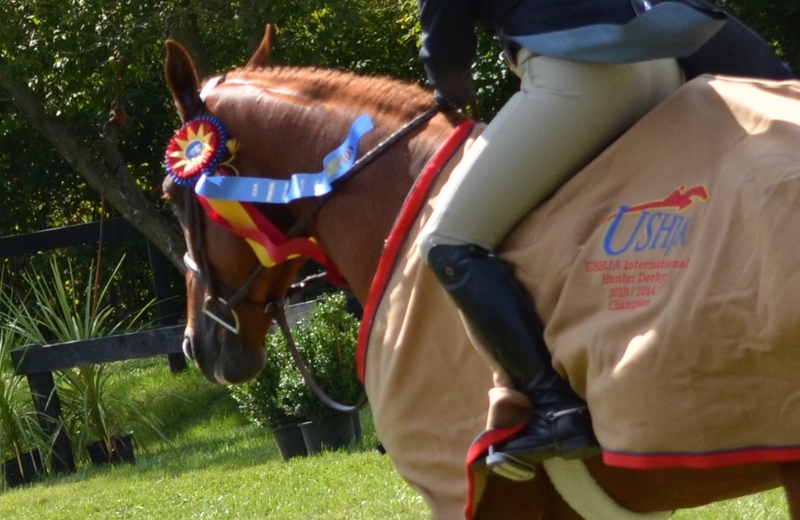 The premier Chicago Hunter Derby at Annali-Brookwood Farm featured the $50,000 USHJA International Hunter Derby sponsored by Canadian Pacific and the $5,000 National Hunter Derby sponsored by Sapphire Riding Academy. The three charities that benefitted from the event were: the USHJA Foundation, University of Chicago Cancer Research Foundation (UCCRF) and Ann and Robert H. Lurie Children’s Hospital of Chicago. Attending the presentation luncheon was Margaret Benjamin, President and Board of Trustees Member of the UCCRF & CEC Host Committee Chairwoman; Lauren Gorter, President of the Founders Board of Lurie Children's Hospital; Carl Weeden, President of Chicago Equestrians for a Cause & Director of the USHJA Foundation Board; Stephanie Harris, Trustee on the Medical Center Board at the U of C & Member of the Founders Board of Lurie Children’s Hospital; Cynthia Chereskin, President UCCRF Women’s Board; Diane Thomas, Member UCCRF Women’s Board and CEC Host Committee, Cassandra Lawton, Member CEC Host Committee and Sterling Berry, Secretary of CEC. On behalf of the Chicago Hunter Derby and Chicago Equestrians for a Cause, Carl Weeden presented checks to the three charities for almost $48,000 each, with an additional direct donation also being made to Ann & Robert H. Lurie Children’s Hospital of Chicago on behalf of Chicago Equestrians for a Cause. The fundraising event showcases top horses and riders from across the country while raising funds for charities. 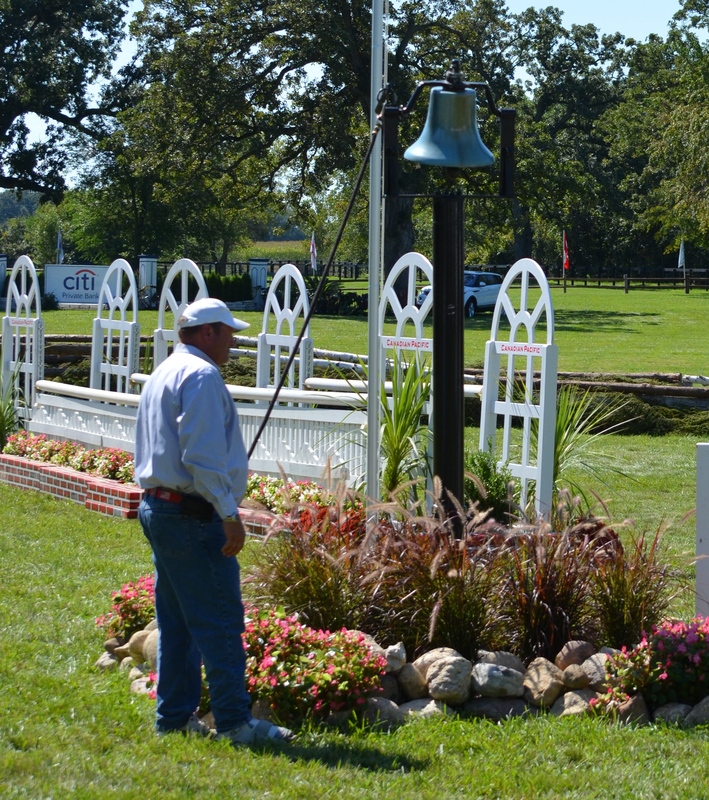 The Chicago Hunter Derby is a unique stand-alone event, currently offering more prize money than any other competition of it’s kind and is also one of the few derbies held in a grass field. The event raised funds with VIP seating and a champagne brunch, a Calcutta, raffles and a silent auction, vendor fees and shopping purchase donations and a new Score 90 Challenge. The Score 90 Challenge, a new fundraiser for the derby this year, made use of a Canadian Pacific railway bell. The bell is a family heirloom of the Annali-Brookwood Farm owners, Rush and Caroline Weeden. The Score 90 Challenge invited barns, businesses and groups of individuals to pledge a dollar amount for every score of 90 or above issued by the judges. When a qualifying score came in, the railway bell chimed signaling more funds raised for the charities. The crowd caught on as the top riders toward the end of the class tried to out perform each other, racking up seven scores of 90 or better with the crowd cheering them on then holding their breath waiting for the scores. The Score 90 Challenge raised close to $9,000. Special thanks went to Kim Calamos, owner of Kallisto, who won the $50,000 USHJA International Hunter Derby with Tammy Provost on board. Calamos donated back to the foundation not only her prize money for Kallisto's win, but also the Calcutta earnings from buying Kallisto's winning team. This spectacular production would not be possible without the generous sponsorship of Canadian Pacific. Canadian Pacific (TSX:CP)(NYSE:CP) is a transcontinental railway in Canada and the United States with direct links to eight major ports, including Vancouver and Montreal, providing North American customers a competitive rail service with access to key markets in every corner of the globe. CP is growing with its customers, offering a suite of freight transportation services, logistics solutions and supply chain expertise. Wally Sieruga, General Manager of Operations from CP, was on hand at the Derby event to present awards to the top twelve horse and rider combinations. The annual event is scheduled for September 4-6, 2015. For more information and sponsor opportunities, please visit www.Chicagoequestriansforacause.com.